The Aether has a high quality stage; soundstage width is about average to slightly above average, with very well proportioned height and depth. It has a spacious feel, and its instrument separation is very good. This is partially due to its depth and layering, but can also for a great deal be attributed to its clean and very airy stage. The stage has a box shape, and offers a high level of precision within the presentation. 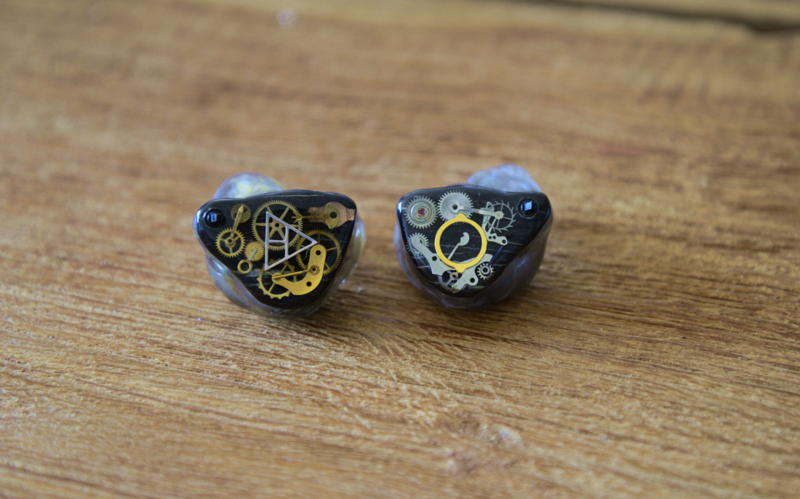 The Aether’s signature can be described as having a very soft V-shape; this doesn’t imply its midrange is recessed, or its tone is bright. The Aether is most of all very well balanced – even exceptionally so, I might say. Its presentation isn’t completely neutral, but it has a natural tonality. Notes aren’t particularly thick or thin, and the stage is neither forward nor distant. But it’s a smooth and forgiving type of neutral, due to its treble tuning. 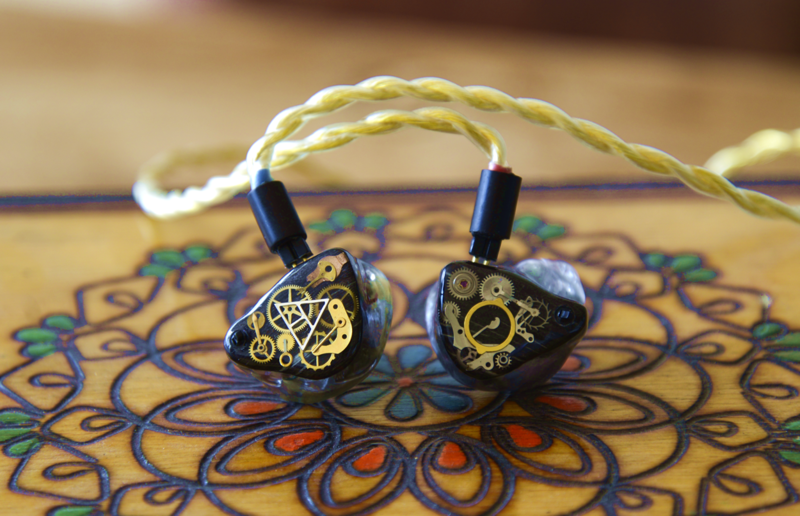 The Aether sounds very airy, with a focus on musicality rather than being bright or revealing. Which isn’t to say it is technically lacking, quite the contrary. Aether conveys a good sense of detail and effortlessness based on its resolution and separation. As mentioned, the Aether has a variable bass switch with two settings. In the ‘low’ position, the mid-bass is tighter, faster and better defined. Although the bass is overall less prominent than in the upper position, it has more precision. I tend to prefer this setting for intent listening to a bass lines, due to the better definition. In the ‘up’ setting, the mid-bass is noticeably more pronounced, with a more proximal positioning to the listener. Naturally, the bass has more impact, although it doesn’t hit particularly deep, but keeps a soft touch; this is due to an emphasis on mid- over sub-bass.The mid-bass gives more warm air to the presentation, though not to the extent that it reduces the overall airiness of the stage. In return for increased quantity, the bass trades off speed and definition compared to the low setting. While the switch should be more of a sub-bass boost on paper, I find it affects the mid-bass more prominently than sub-bass. 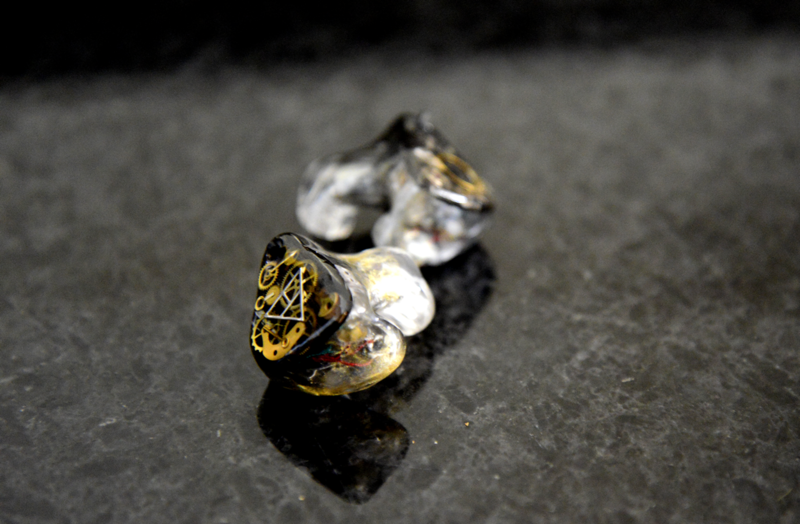 Bass impact consists more of a mid-bass than sub-bass slam, and its overall texture and definition is not quite at the level of iems like the S-EM9 or 8.2. However in its overall performance, the bass is still satisfying. The Aether’s midrange is beautiful, and most of all very well balanced. Its vocal positioning is neither forward nor distant, just very neutral. It has slight, but essential, inherent warmth; but more of a spring breeze type of warm than a hot summer. It refrains the midrange from sounding dry or analytical, without sounding thick or cloudy – there is a certain delicacy to the presentation. It isn’t overly lush or thick, but the tonal balance between midrange and treble is simply excellent, with a smooth and very natural sound as result. Its natural tone is not only the result of the excellent balance, but also of its rock solid technical foundation. Midrange resolution is good; maybe not Zeus-XIV or 5-way level of excellence, but above what I consider average in the TOTL region. Transparency – good. Midrange speed – good. While abstract technical properties like these might be harder to grasp, they inevitably play a strong role in letting the beauty of music shine through in a pure form. As Emil explains, an inherent property of the TWFK drivers (that are very commonly used) is a treble peak around 7-8 khz. I’ve come across it in my last 2 reviews of the Primacy and Sirius for instance; the peak adds more clarity to the presentation and gives it more of a ‘hi-fi’ type of sound, but at the cost of naturalness. EQ’ing the peak down accordingly results in a more natural tone. Acknowledging this, Emil purposefully dampened the driver heavily, resulting in a smooth, natural sound while retaining its extension. Reading this might suggest that the treble takes a step back in the presentation, but this certainly isn’t the case. The treble is very much in line with the midrange. While it isn’t overly sparkly, it isn’t subdued either. It is however airy, smooth, and very well extended. In addition, its decay is good, contributing to the overall accuracy. Due to its smooth nature, the treble is quite forgiving.